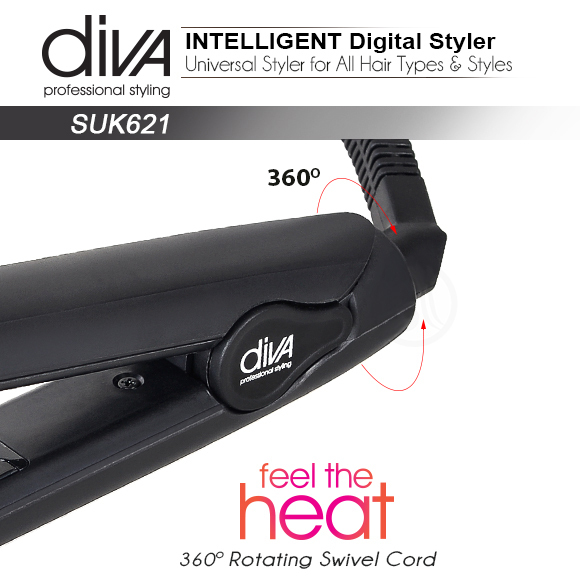 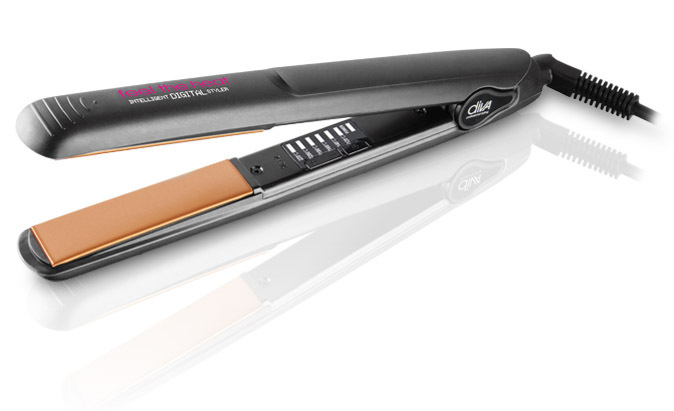 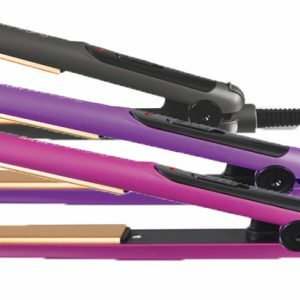 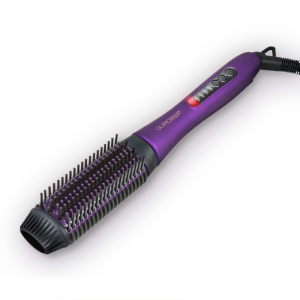 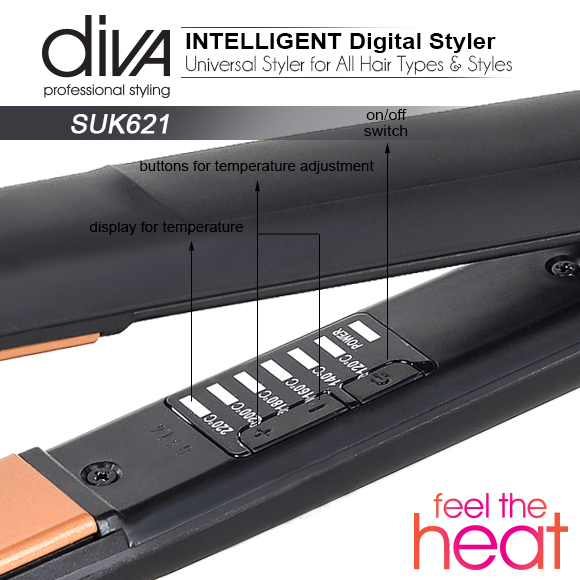 The Diva Intelligent Digital Argan straightener is the perfect tool for all hair types and creating straight styles, curls, kicks and waves. 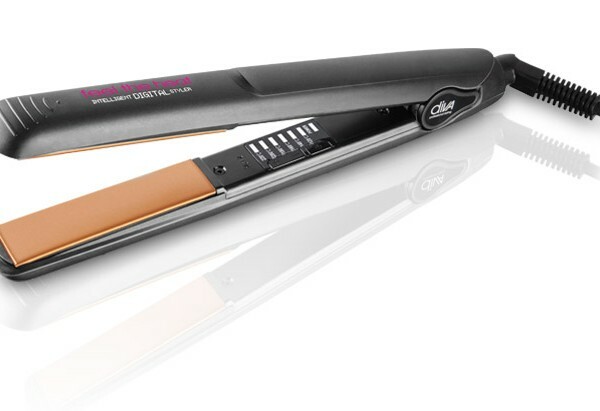 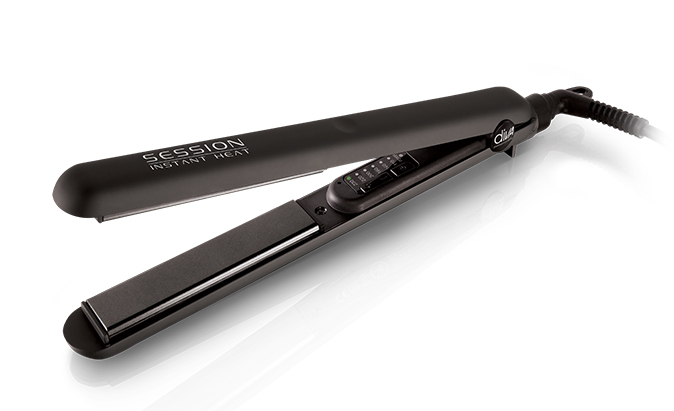 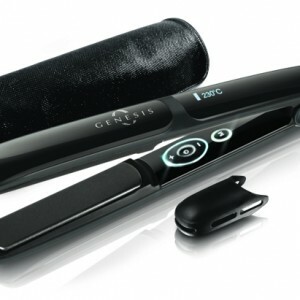 The smooth snag-free floating Argan infused plates glide through the hair conditioning the hair as you straighten. 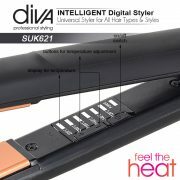 Hair is left feeling soft, shiny and easy to manage.